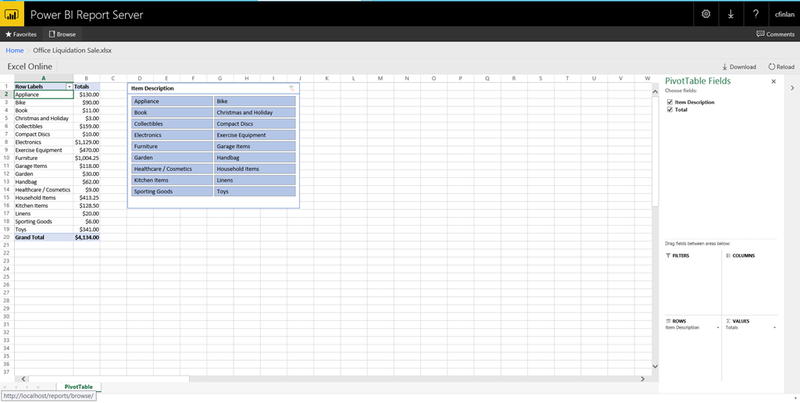 With the latest release of Power BI Report Server, we introduced the ability to share and view Excel Workbooks in a web browser (assuming you Office Online Server setup for your server farm). This included workbooks that had Power Pivot models embedded in them with external data connections that might need to be kept up to date. However, there isn’t currently a way to automatically refresh the data for those workbooks on the server currently like you can in SharePoint. 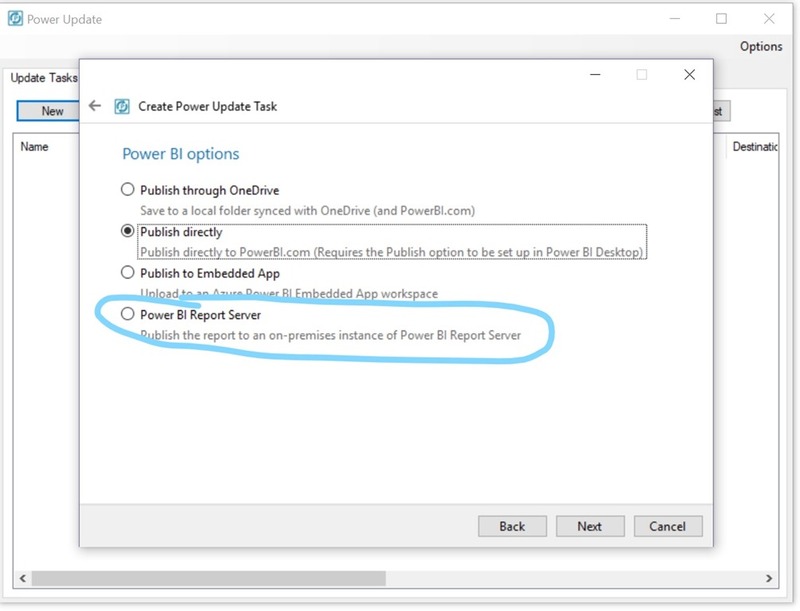 Today, I’m excited to show you a way to get around that limitation using a tool called Power Update from a Power BI partner called PowerOn. 5. 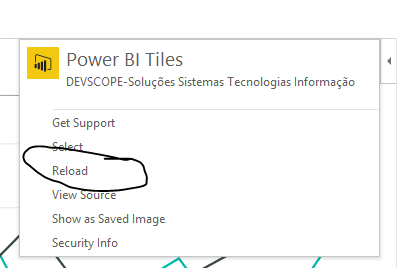 For my publish location, I want to publish to Power BI, and then select the “Power BI Report Server” option. After I’ve set everything up, you’ll see the first task in my list is now populated. As a test, I clicked the “Run Now” button to see if it works. Everything was setup properly, so it’ll refresh the workbook, publish it to the server and then let me know it was successful. I can even setup e-mail notifications to tell me this after each time it runs! 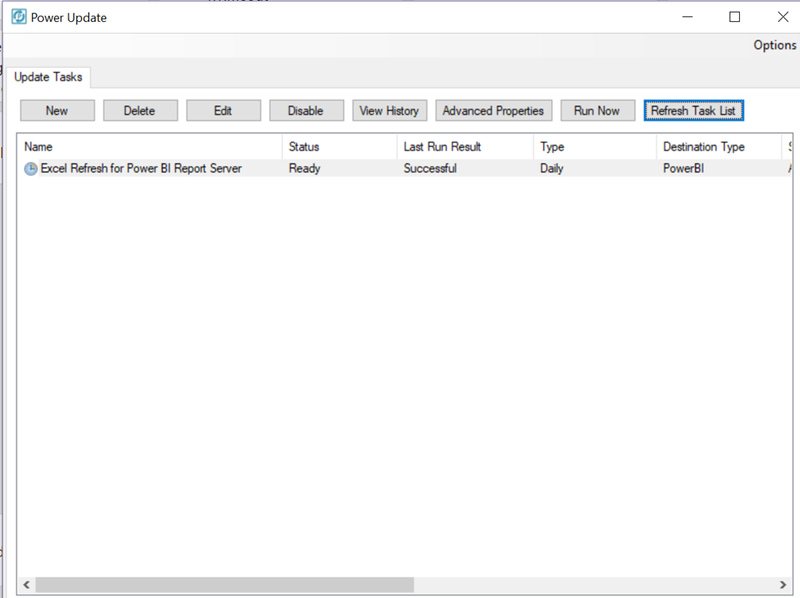 That’s it – it’s very simple to set up and manage your Excel Workbooks in Power BI Report Server and make sure they always have the latest data for your users. And yes, anyone can use the public REST API’s for Power BI Report Server to do something like this on their own if they’d like. 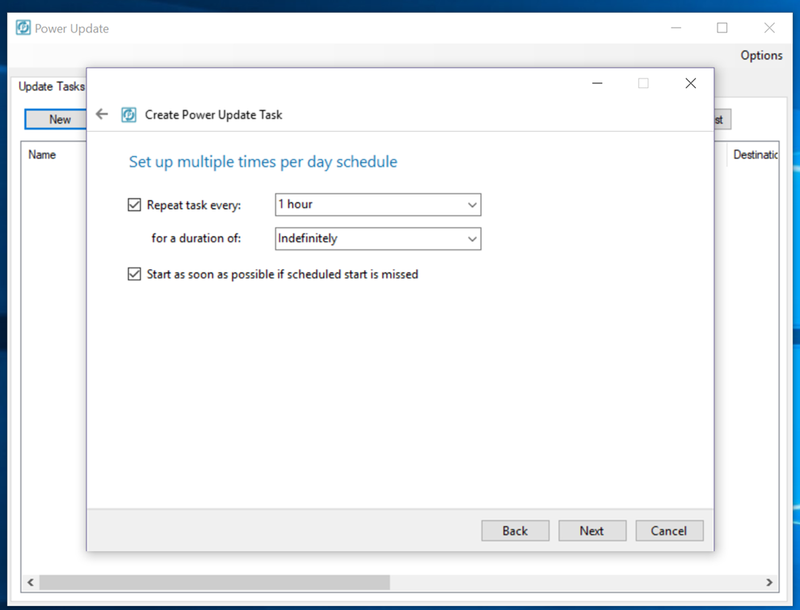 Power Update just makes it easy to enable this functionality for their organization. 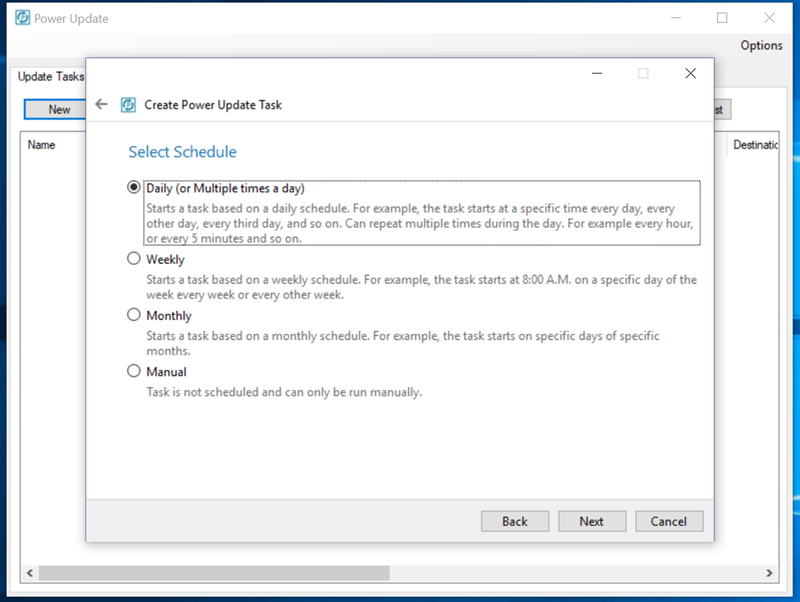 Power Update offers users both a free and paid version of their product – the free version offers all the functionality of the paid version, but is limited to only one workbook you can schedule and use. 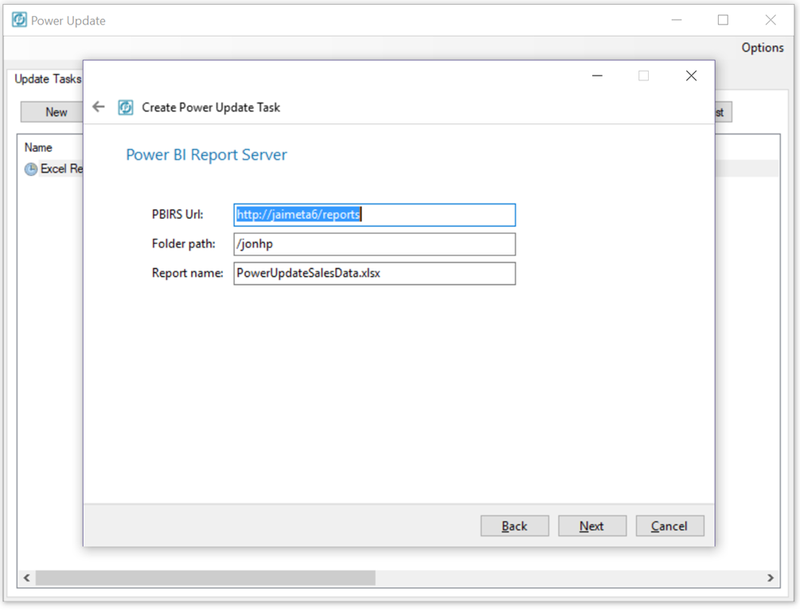 Updated demo VM for Power BI Report Server now available! – We now deploy two VM’s and setup a sample domain for them to allow you to use Office Online Server. They will both be the same size you select in the VM setup process initially – you may re-size them if you’d like through the Azure portal at any time. We did this to allow the widest number of regions access to the VM template, since not every VM size is available in every region. This should help make sure you don’t accidentally select a VM that isn’t available in your region, and have the deployment fail for you. – We’ve added additional sample RDL reports with the VM for your use. I hope you find the latest updates valuable, and thanks for reading as always! 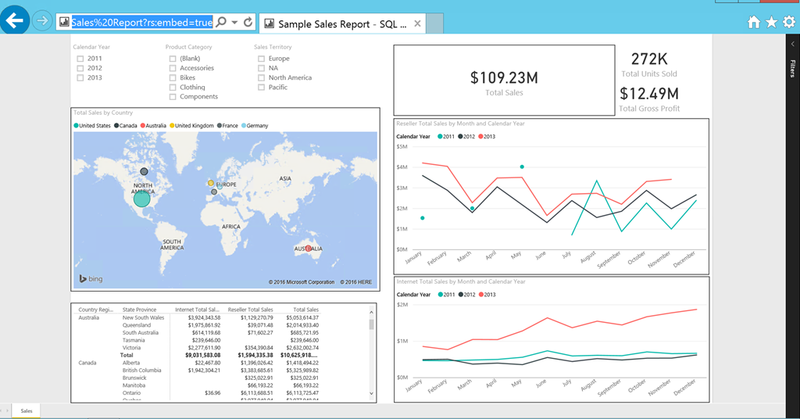 Quick blog post today to let you all know I’ll be presenting at SQL Saturday Vancouver next Saturday, August 26th about Power BI Report Server. This will be a chance to hear more about exactly what it is, how it can help you and your business AND discuss what new features and functionality will be coming soon. And if you decide to attend, there’s probably a good chance you’ll see demos of the latest functionality we have planned for the next product update coming later this year! Look forward to seeing you there and being as confused by the funny looking money in Canada as I am. See you next weekend! So this blog post falls into the “I just think this is cool” bucket. 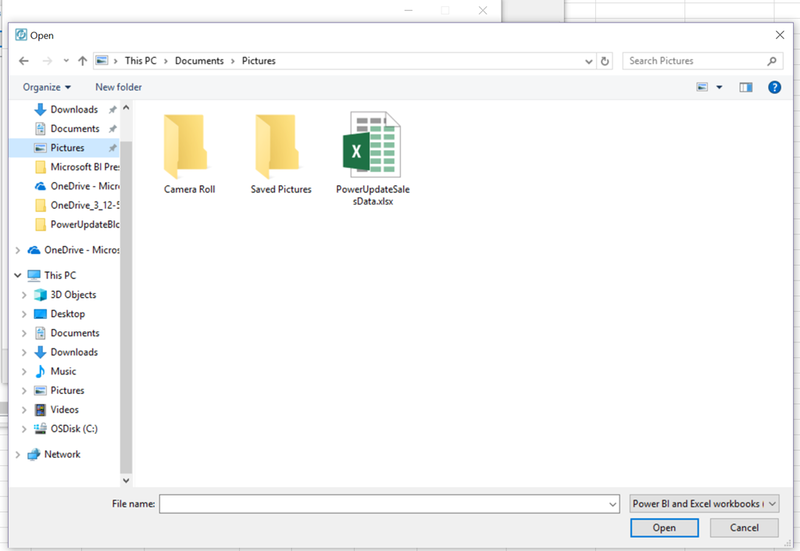 Did you know Excel had camera functionality? Well, I didn’t. And this despite the functionality being there since 2003(!). This isn’t there by default, but if you turn it on in your Quick Access Toolbar, you can take advantage of it. What’s so special about this functionality in particular? 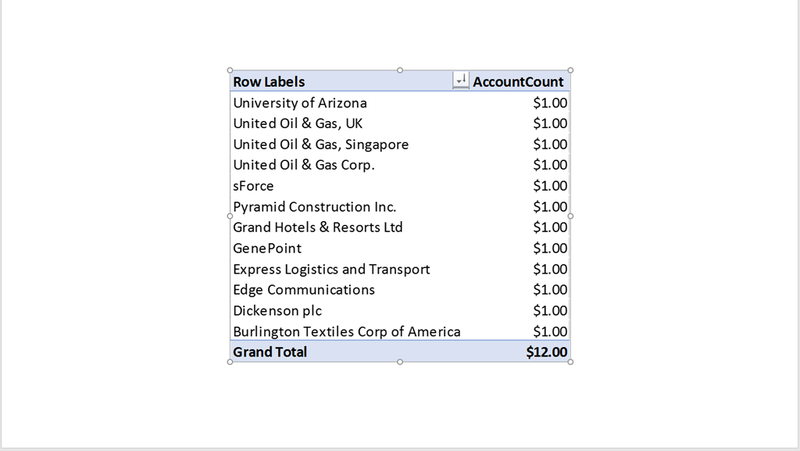 Then created my Pivot Table against the data and used the camera tool as I did in my earlier example. This is nice, but what I really want is this live picture in a PowerPoint deck that gets updated when my data is updated in Excel. Let’s give that a try. 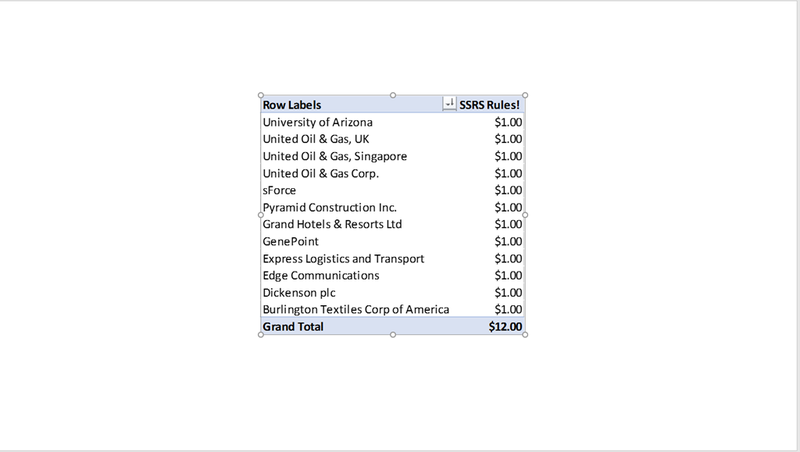 For example, if I change the “AccountCount” to say “SSRS Rules!”, it changes dynamically. 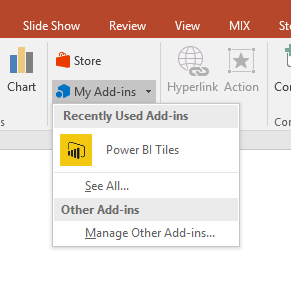 I can also add a hyperlink to the picture back to the original report in Power BI if I wanted to jump there quickly during a presentation to do additional analysis on the data. Thanks as always for reading – maybe you already knew this trick, but if not, hopefully it’ll save you some time in the future! Whew – this is my fourth (and final!) 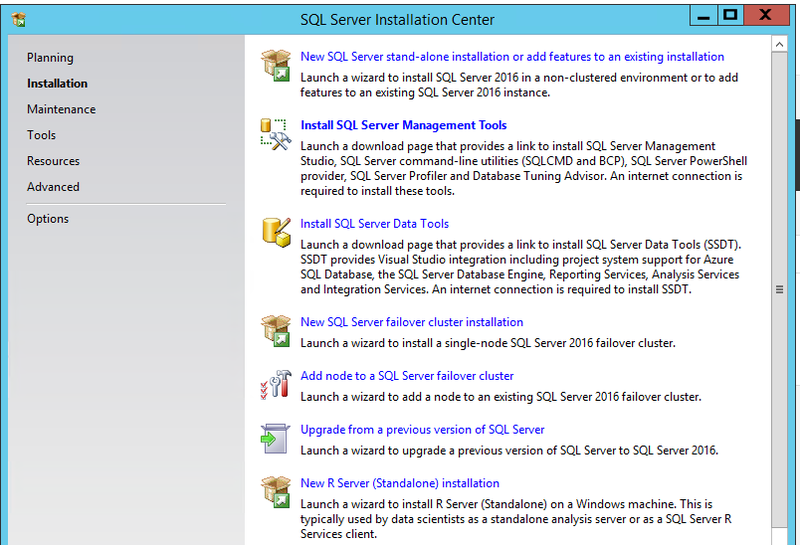 blogpost in four days around the Technical Preview for SQL Server Reporting Services. It’s been a lot of work, but also a lot of fun putting these together. For my final post, I wanted to touch on ten items you’ll see (and can try) in the preview to ensure you don’t miss them. Before I do that, however, I wanted to take a moment to say “Thank you”. This past week at PASS Summit 2016, and the reaction from the community to this entire preview, has been one of the highlights of my entire career. I got to meet several of you for the first time at PASS, and as you learned very quickly, I’m not someone to sugarcoat things. You all embraced this very unique preview and made the engineers who were on-site at PASS from the Reporting Services team feel like the rock stars they are. That type of passion and energy is so infectious, again, I can’t thank you enough for letting the team know how excited you were with what we’ve delivered to date. Our customers are the reason we fought so hard to bring this to you, and I promise, this is the just the first step. We’re already back at it, working hard to bring you the first installable preview of this functionality as quickly as possible. If you’d like other users to view and interact with the technical preview without remoting into the VM. This is helpful if you’d like to show it to additional people in your organization, give users read-only access, etc. 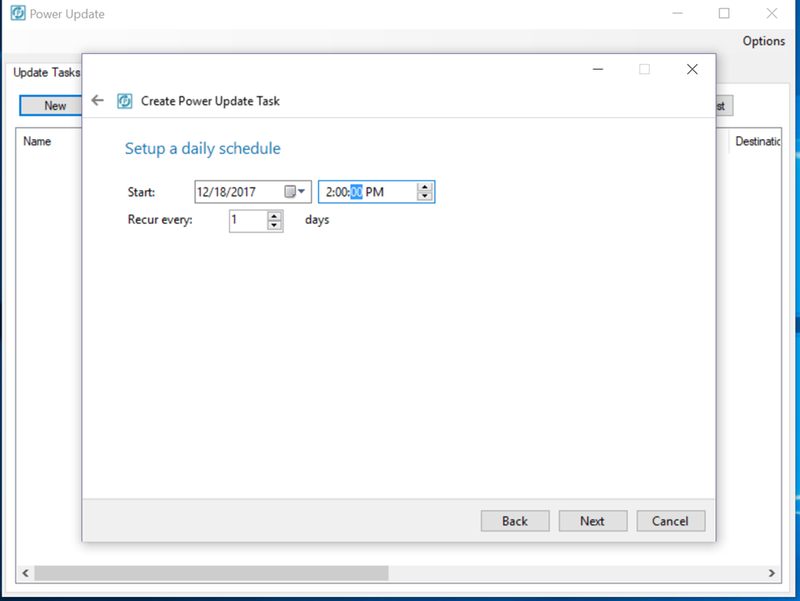 Keep in mind, you’ll still need to do all creating/editing of Power BI Desktop reports on the VM directly using Remote Desktop. Open a web browser on your local machine and type in the address/reports in the following format – http://8.8.8.8/reports (enabling https for the VM is something that is a little tricky to do, so I’ll have to decide whether that’s worth doing a future post around or not). Enter your username and password for the VM, and you’ll be granted access to the report portal. 2. 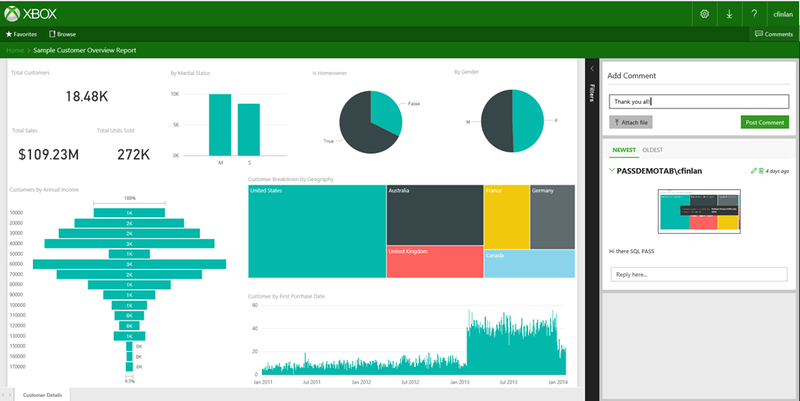 You can use embed the Power BI Reports just like mobile and paginated reports. 3. 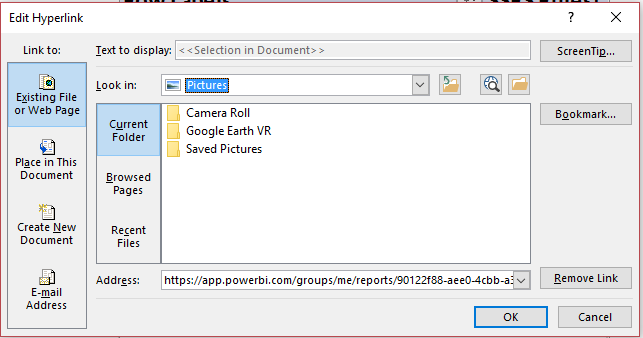 Mobile Reports and Power BI Reports both are available in the execution logs. 4. Direct url navigation is now available for KPI’s. 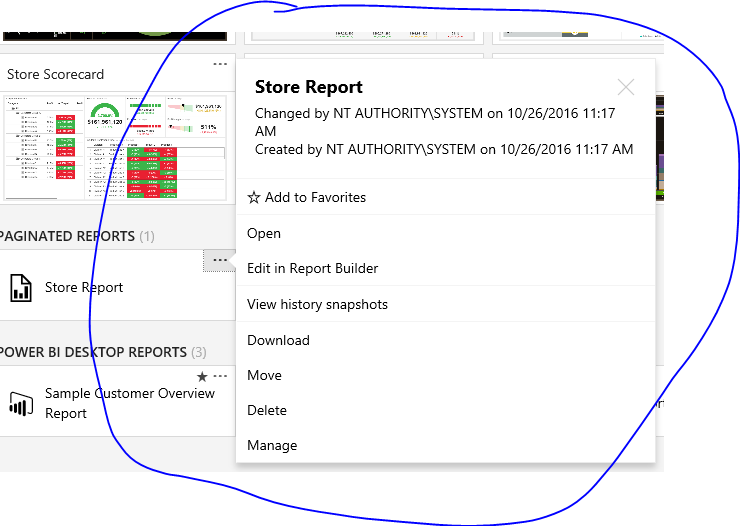 Users have so liked the new reporting services interface, they’d asked for an easy way to link to other content directly from the portal homepage so everyone can use the new portal as a starting point in their organization. 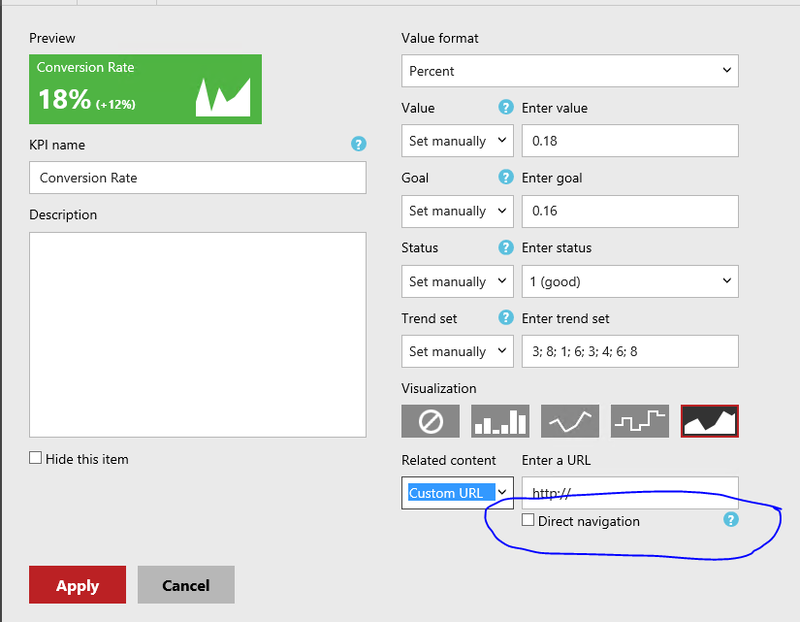 With this in mind, we added an additional option to KPI’s called “Direct Navigation”. This allows you add a custom url as related content, just like you can in the portal currently, and simply bypass the current KPI pop-up action you get when you click on the KPI and go directly to the linked content. For any KPI’s that you use this feature with, you’ll a little “link” in the upper right-hand corner of it so you can tell that it is enabled. This will give the ability to create “dummy” KPI’s that you use just to link to outside content. 5. 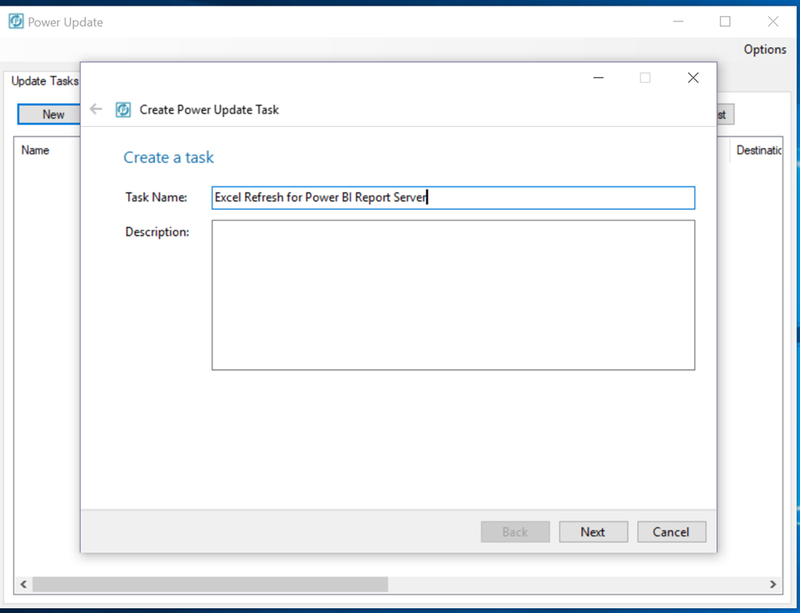 You can turn report comments off for certain users by creating a custom role in SQL Server Management Studio and assigning it to them for folders/reports. 7. You can install another instance of Analysis Services on the same machine to have both Multidimensional and Tabular running simultaneously. Simply add a new stand-alone instance of Analysis Services on the same machine and you’ll have both options available to build reports against. Simply toggle the layout option in the View menu in the portal to switch view types. 9. 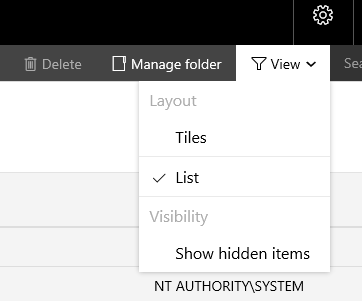 A new, expanded context menu is available when you click the ‘…’ option for that item. You’ll hear much more about items 8&9 in a future blog post on the Reporting Services team blog. 10. The Technical Preview VM will expire in six months. Also note, the expiration date is six months from the date it was first made available in the portal. Just be aware of this, and keep in mind you’ll probably want to migrate any content you put on there prior to this date. And we’re done – finally, I can take a few hours to relax and watch the big Eagles/Cowboys game this evening. I’m in such a good mood, I might not even care if the Eagles lose to Dallas. Yeah, no, I’ll care – Go Birds! I wasn’t planning on this being part 4 of this blog series. No, the plan was to do an end-to-end scenario using real data and a real business use case. Instead, you’re getting a rant that I’m dressing up as a blog post. The rant of a man who spent his Saturday afternoon doing what’s the hardest part of any BI project – actually getting the data and making sure it is clean and correct. There’s been a number of new announcements recently around new analytics solutions from companies like Amazon, SAP and Tableau. The announcements all had a similar theme – we’ve got a snazzy new product that will help people to easily explore, visualize and analyze their data. And to show you how ground-breaking it really is, they give you a chance to try it using one of their pre-loaded sample datasets. With just a few quick clicks, you too can make a bar chart that shows you how much ticket sales were for Jurassic World. Or better yet, how many third class passengers died on the Titanic! Yes, the best friend of BI pre-sales personnel everywhere, these perfect public datasets do a fantastic job helping tell the story you want customers to hear – just take your perfect dataset (preferably a single table on a spreadsheet), load it up and watch the magic happen. And everyone uses these datasets – yes, including here at Contoso Microsoft. It’s just the reality of doing demos – privacy concerns make using real company data very tricky, you don’t want the demo to go wrong, etc. So like the latest Macklemore video, these demos look great at first glance, but trying to find any actual meaning around the information being presented is probably wasted energy. That was why I wanted to finish off my perfect productivity series with a grand finale – use real data and a real business scenario that showcased the value of Power BI and Office 365. And I had an excellent one – my wife runs an online business I help her out with from time to time. She’s had some moderate success with it, but she’s never really used the data in any meaningful way, other than the normal tax stuff one has to do. She suggested I look at the data to see if there were some things she could be doing to make more money at it. Jackpot! So yesterday, I sat down to dig into the data – surely, this was going to be a piece of cake. All the data was in a central location, I knew the business, etc. That’s when I ran into a data access problem. The site she sells the items on only lets you get the records for the current month and the past three calendar months. Since she had sales going back to October 2013, that wasn’t going to help. I then tried pulling the data from a site called Terapeak, which I love to play with because it has historic sales data, but they too limit the number of records you can download. Gee, what a surprise, central IT was preventing me from getting the data I needed to do my job . . .
After I snapped out of my shadow IT flashback, I did what I used to do in these situations. I figured out how to work around the data access limitations. I discovered the data was also available from PayPal, and those you could run for a custom time period. Woohoo! 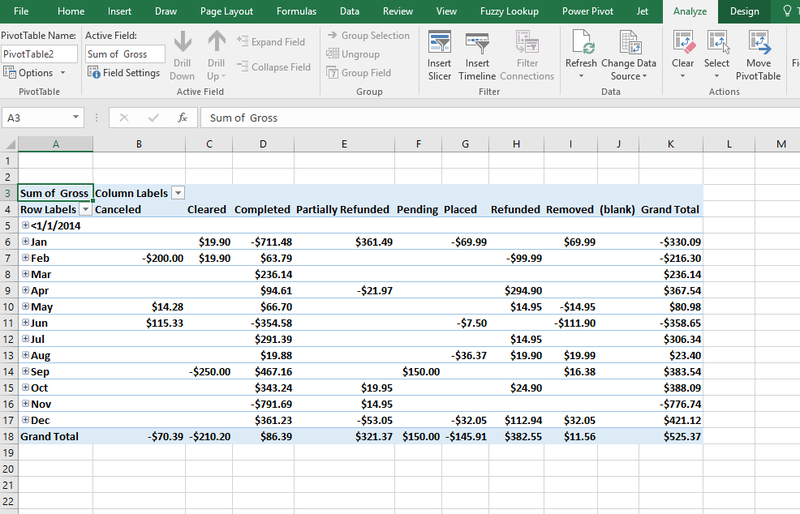 So I ran the report, downloaded the file, and opened it up in Excel to review the data before I got started. That’s when the “fun” began. Then I noticed there was stuff in the download that had nothing to do with the sales themselves, but were potentially for office supplies or the like. Plus it had a bunch of extra columns, date formatted in a dumb way, etc. No big deal for me – Power BI desktop and Power Query in Excel eat these types of problems for breakfast. And unless I missed something in my BI 101 class, no snazzy visual or finger gesture on my tablet is going to make up for the fact my dataset from the company’s “single source of truth” is giving me complete garbage. Oh, but it gets better – this particular report included all the listing information, including the listing title, but didn’t include the listing category, which I needed. So I’d have to recreate that myself for the purposes of this report, based off of the item title. Also, the publication year for the item being listed, which was very helpful for certain listings, was buried in with the main title text. I needed to pull that out and make it its own column. It was becoming clear that my grand plans to play Witcher 3 all afternoon were evaporating fast. Sadly, Bo didn’t know profits. I knew what each item’s sales price was for, because the prices were always the same for the same types of item – for example, an old book would be listed for $9.95, and old Xbox game would be $14.95, etc. But I still had to break these records into individual line items and then adjust the value on each line to reflect what the price was for that item only, since the overall item total would be copied to each line. I’m sure it’s possible to get an M script that would automate this, and I’ve done stuff like that before in SQL Server, but I wasn’t about to fiddle with it for the 175 or so rows I needed to clean up. I sucked it up and did that part of it manually in Excel. 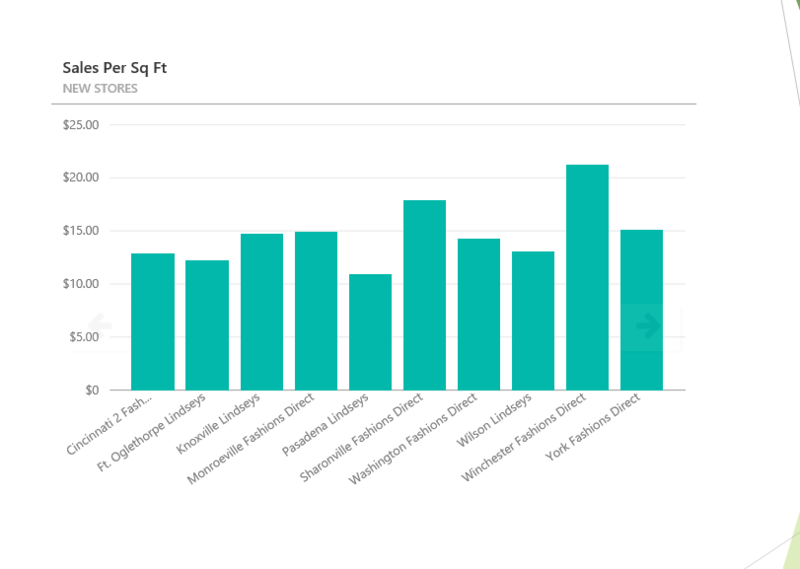 The rest of the data clean-up I outlined I did do in Power BI desktop, but it took some custom M script, two Ken Puls articles (this one is especially useful) and about 200 (!) steps. Oh and about nine hours of my time. And Geralt’s time. But the pain was all worth it – my properly cleaned dataset contained some remarkable insights that I was able to light up in Power BI with some of the new custom visuals that were introduced last week. And it also reminded me of what it’s like in the real world, because this scenario happens every day, in every company in almost every department. It certainly happened in my old group more often than my boss coming to me with a perfect data export of Titanic deaths he was looking to throw a pie chart on. Jen Underwood touched on this theme in her post asking if you’d bought a self-service BI fantasy. I’d take that one step further – you might need to ask yourself if you’ve bought a corporate BI fantasy as well. Because for all the flaws people feel the Microsoft solutions might have, it’s the only one I’ve found was designed and consistently used as part of every solution here in the real-world, where data is messy or unavailable or both. 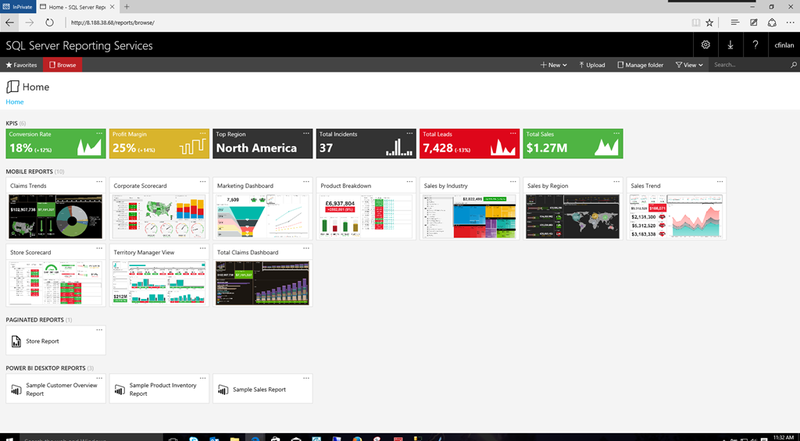 And we’ve got pretty great visuals as well – ever seen a Datazen dashboard or that cool fishbowl in Power BI? Have a great week at PASS! What happened this week may go down as one of, if not the most, important weeks in the history of Microsoft Business Intelligence. Melodramatic nonsense from a Microsoft fanboy/employee? Hmm – maybe. Let me explain why I’m making this bold statement. So, I’m not normal. Neither are probably most (if not all) folks reading this blog. That’s a good thing, because it makes us special. We’re blessed with what Rob Collie refers to as the “Data Gene”, and it’s why we love working with the Microsoft stack. It’s estimated (by Rob) that approximately 1 in 16 people have the data gene, in fact. Which means 15 out of 16 people don’t have it. They aren’t interested in crunching numbers all day, nor should they be. It isn’t their job. Which is why the presentation layer and integration with a productivity suite like Office is so important in any business intelligence solution – users need to be able to quickly and easily understand what’s being presented and take action on the information. These are themes I discussed at length in Part 1 and Part 2 of this series. 1. The vast majority of people I was presenting to weren’t the ones reading every blog post from Marco Russo or Jen Underwood. They generally didn’t know or care what DAX was. 2. If they couldn’t see how they’d get business value from it personally, then they weren’t interested. This doesn’t mean they’re selfish – on the contrary, it means they’re pragmatic. And it is exactly how I’d feel if I was in their shoes. Yep, sounds corny, but it’s true. And I knew I could help them solve their business challenges with our stack. So I wanted to be sure to highlight functionality which THEY were telling me would help them the most, not just what I thought would. Think back to the pre-Power BI era at Microsoft, which is when I joined – what two things do you think folks told me was the most valuable functionality I showed them? There wasn’t a close number three I could point to – at each customer presentation I did, if I showed these two pieces of functionality, they’d be the ones customers wanted to start using “tomorrow” because of the amount of value they thought it would bring their organizations. What usually happened when I finished was, the customers marched right from the presentation down to IT and demanded they deploy the latest version of SharePoint and Office in the organization so they could use this functionality. Naturally, IT said “Absolutely! We own these licenses already and we’ve been itching to do this. We’ll have you up and running in no time!” Then they joined the rest of the Care Bears on Gumdrop Mountain to celebrate their good fortune. I’m guessing you figured out I was being facetious. For many customers, it was simply too much work for them to get all the pieces in place to take advantage of this functionality. This was frustrating, but completely understandable coming from where I’d been in “shadow IT”. So we only saw a fraction of the adoption you’d expect based on the interest shown in the presentation. Fast forward to this week and what was announced. But he may have done just that. His entry this week was for a visual called Breakdown Trees. When I saw it, I smiled. 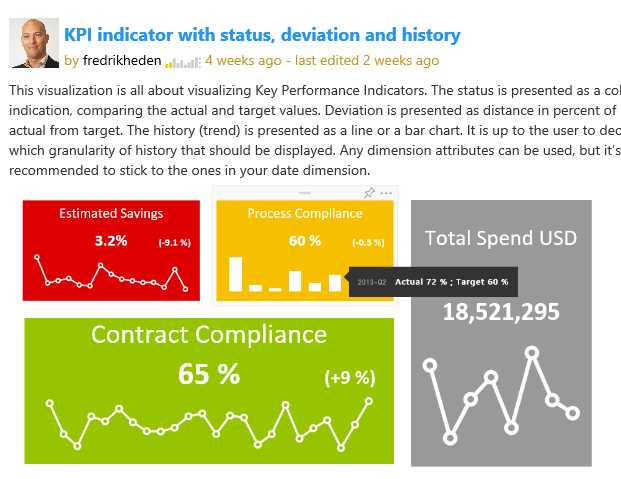 Frederik basically took the decomposition tree from PerformancePoint and put it into PowerBI. Remember, this was one of two things our largest customers told me they saw providing the most value to their organizations when I showed it to them. And now, instead of just seeing it with AdventureWorks data being demoed, they could now be using this functionality, with their data, in the same meeting. That’s absurd (in a good way)! I seriously doubt that people won’t want this functionality as much now as they did then, but I’ll concede the point for the sake of argument. The other announcement that came a few days later was even bigger than the first one. 2. 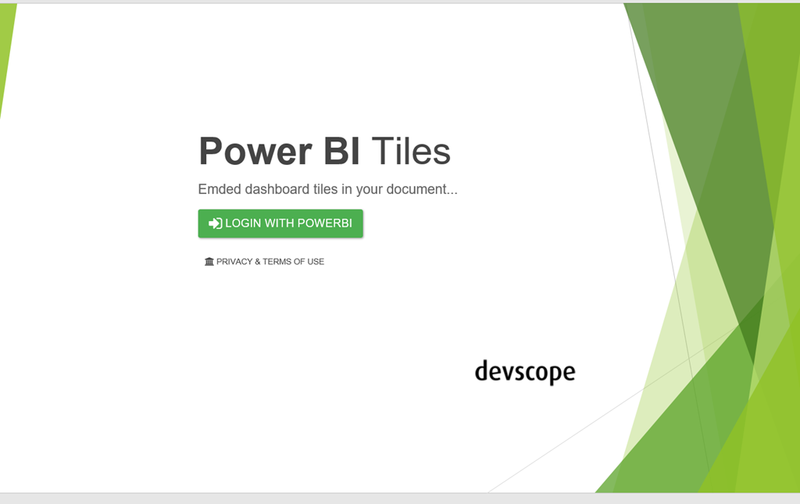 Click at the login button and authenticate with your Power BI credentials at the shown popup. 2. What if I send it to someone who doesn’t have the app? You still can, just choose the “Show as Saved Image” option. 1. For two years, every organization I met with asked for this type of functionality in every meeting. That’s over 100 of the largest Microsoft customers in the world. 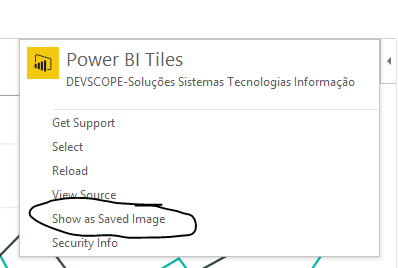 Even after Power BI was introduced and became the focus of many of my conversations, they have the same ask. The ability to get their live dashboards into PowerPoint slides OR line of business apps. 2. The level of difficulty to get this setup for an organization has gone from “complex” to “trivial” if they’re running a newer version of Office. Many more customers are actively using Office 365 and 2013/2016 than were using it two and a half years ago, so that isn’t the barrier it once was. – Proper security integration, proper licenses, stakeholder buy-in, etc. to get functionality they saw me demonstrate, I just need one machine with an updated version of Office (32 or 64-bit) to get this functionality. I can think of exactly two customers during my time in the field where they wouldn’t provision a single machine with the latest version of Office on it or allow the person to upgrade. In general, it wasn’t a big deal to get a couple folks using a newer version of Office to prove out the value of the solution. So I show them in the presentation they can do this. Then they sign up and do it right away with their Salesforce.com data, and the only thing preventing them using it in every PowerPoint presentation they create is a slower deployment of Office? That’s a much, much easier thing for them to get done, and I assure you, people will make the ask to do so just to get this. 4. 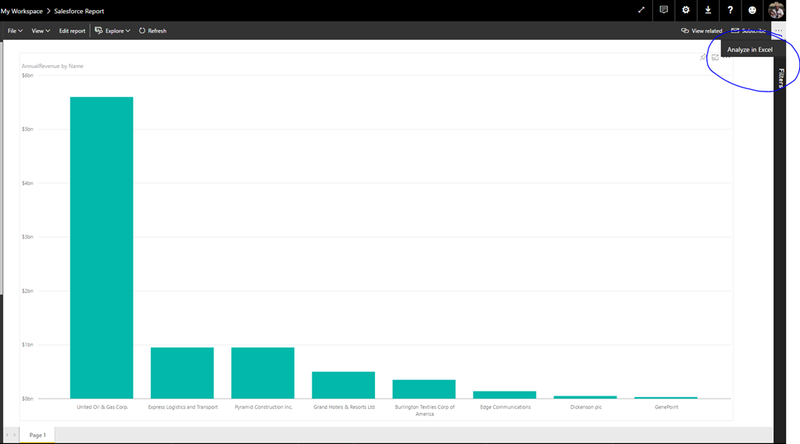 This is the biggest one, and I am convinced of this – this functionality is so simple and so valuable, people will sign-up for Power BI to use this functionality even if they already own and use another tool. Forget about how easy it was to do – as far as I know, NONE of the other major self-service BI vendors I just mentioned can do what I just did at all, let alone that easily with three major pillars of the productivity suite that people use every day. It was that important to every business I’ve ever worked at, talked to, whatever. And because I don’t need every user to have the app downloaded, (remember, it still allows them to see the data as a static picture if they open it and don’t have the app), I’d be giving this an AWFULLY long look if I’m currently taking 30 snapshots of my Tableau/Qlik/Lumira/Whatever report and pasting them into a PowerPoint deck every week. It’s not a perfect app – yet. If I have 50 tiles in my slide deck, yeah, refreshing each one at a time would get to be tedious (yet still much faster than my current option). To paraphrase Voltaire, “Don’t let perfect get in the way of good.” This app is really good as is, and it’s been available for all of two days. The only folks who wouldn’t get any value from this are the ones who can’t take advantage of Power BI at all. 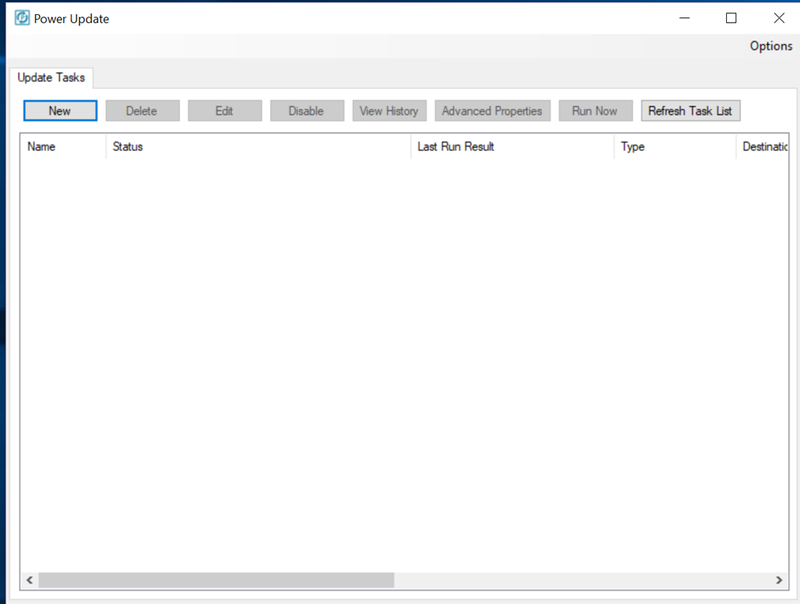 To them I say, read the latest blog post from my colleague Riccardo Muti this past week who shows off the newest functionality in SQL Server Reporting Services in SQL Server 2016 CTP 2.4, available now. Yep, we added the ability to Export to PowerPoint there as well. And it looks GREAT when you export the report, thanks to the other enhancements they’ve made. So, what do you think? Did Microsoft truly change the game this week? Before you answer, go ask some non-BI pros if they’d find the functionality I just described to you something they’re looking to use in their jobs. I think you may surprised just how valuable something so simple might turn out to be.